Great spot to read the Cape Cod Times. The house was expanded from its origins as a 1946 fishing camp. 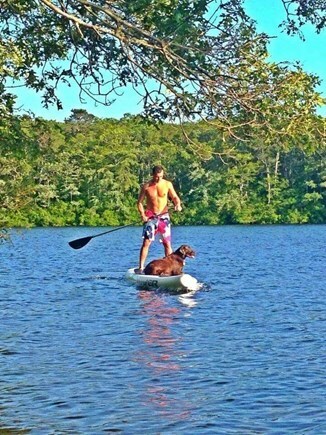 Just steps down from the house to endless fun on Sand pond. Sunset swims and paddleboat evening cruises surrounded by color. A Brand new kitchen awaits the family chefs. Voted ''Best napping couches'' on the Cape. 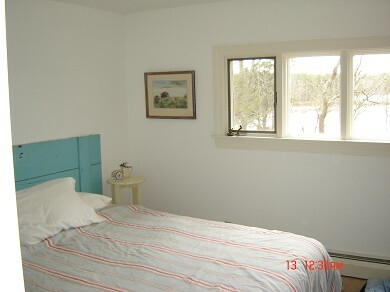 The master bedroom has a pond view and queen bed. 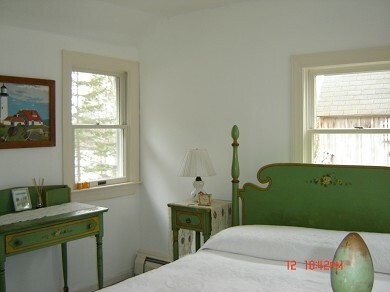 A vintage bedroom with a full bed has a peek of the pond. 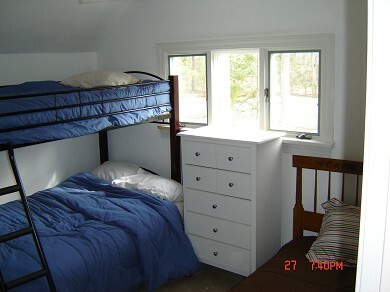 The bunk room has a double futon lower and two twin beds. 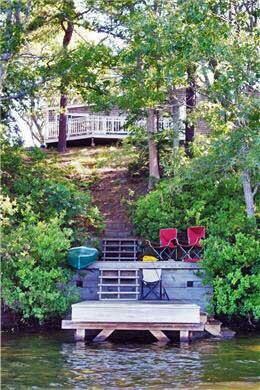 This unique waterfront property on Sand Pond exudes old Cape charm and is its own ''destination vacation''. From your private dock, you will find it easy to swim, kayak, paddle board, fish, and float the day away. The three bedroom house is set back off of a dead end road, steps away from the 245 acre Bell's Neck Conservation cranberry bog, hiking, and rail trails. With so much to do on site, we like to remind guests that the best of Harwich dining, Cape Cod baseball, live theatre, flea markets, golf courses, and salt water beaches are just a short drive away. Well behaved dogs will be considered with an additional pet security deposit. *Motor crafts are not allowed on Sand Pond. Additional availability info: Inquire about off season availability. 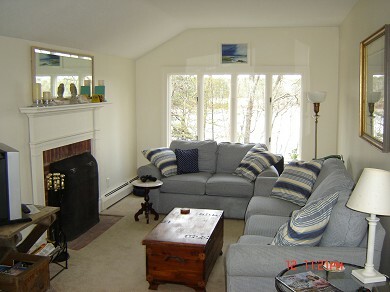 This is a Saturday to Saturday vacation rental. Additional pricing info: Rent multiple weeks, discount of $50 per week on 2 or more weeks, State and local taxes of 12.45% will apply. We had a fabulous week -- prob'ly the first week of sunny weather for the summer! The house was adorable, clean and well-stocked. 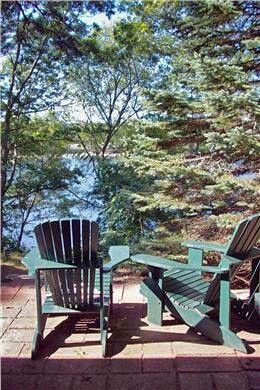 We all loved relaxing on the deck and swimming & kayaking off the dock (including the dogs!). Judy and Mac are welcoming, attentive homeowner's. We will definitely come back if we can and would recommend this rental to others. Enjoy! 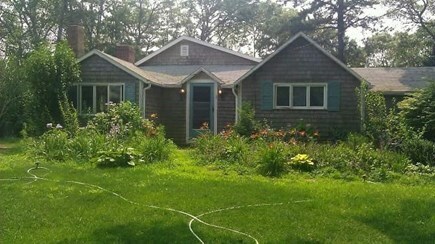 Our family rented or stayed with friends for vacations on the Cape before finding #5 Deacons Folly property in 2009. In 2010 I moved from Boston to the Cape house to work as a Hospice RN in nearby Chatham. I spent the summers I rented out the house in a friend's vintage airstream. We stopped renting the house to allow for a stream of large summer celebrations to take place including a wedding, various graduations, our kids moving to San Diego and my husband's retirement. We have loved every breathtaking minute living in nature on a pond so clean you can drink it. We have had to relocate to help out family members for a while and must rent once again. We have always had the best guests using the WeNeed aVacation service and many of our guests came back every year. It is our goal to make your stay as easy as possible by stocking the house with many of the basics. There are so many magical things about this place. 1. The pond is my favorite asset. Sand pond is one of hundreds of glacier ponds on the Cape. 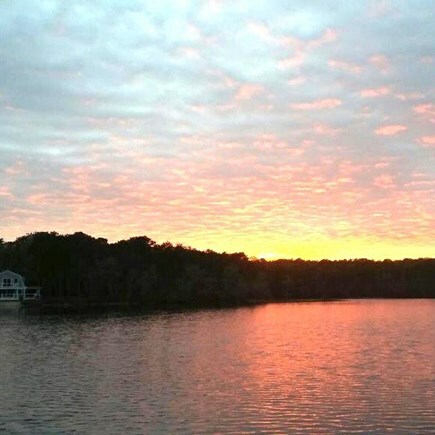 It is 22 acres and 25 feet deep in the middle from our dock. The bottom is sandy except for the leaves we after autumn comes and goes. There are large and small mouth bass to catch and release and there are no gas motor boats allowed on the pond. This house was originally built as a fishing shack in 1946 and was once the only house in the area. 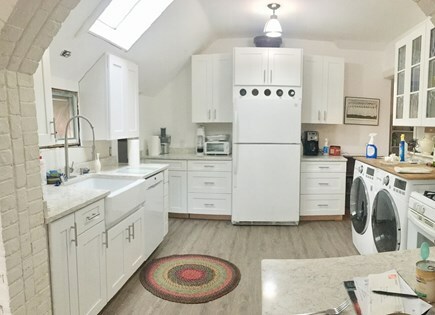 Over the years one owner fell in love with the spot and gradually added on pieces of other cottages and winterized the now 3 bedroom house to move his family in year round. Today, the 17 houses that exist set back on the pond are the maximum # dwellings allowed. Night swims are the best. 2. The Bog. 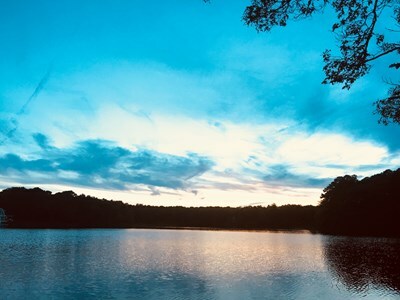 hiking and bike trails are steps away located on Harwich trust conservation land. Guests love to walk and run these 245 acres of trails daily followed by a jump into the pond. Thrift shops, Riding the bike trail to Harwich center for breakfast at Ruggies, Eating specials at the Hot Stove Saloon in Harwich port and cocktails, dinner at Mooncussers, Cape Cod baseball, and visiting Red Rock beach.